What Next? for getting out of our echo chambers? Elizabeth Mischler is a 2017/18 Clore Fellow, during her placement with What Next? she worked with individuals across the movement to consider how to include new and different voices in conversations and decision-making and creating safe spaces for opposing views to come together. She wrote this blogpost to consolidate some of her findings. What Next? believes the movement will be at its strongest when it includes a spectrum of people and a range of perspectives. What Next? wants to hear points of view from people of different political leanings, backgrounds, job roles, locations and lifestyles. We don’t want to be an echo chamber. We want to remain relevant and inform ourselves with a broad and representative view of society and the sector. We think ‘better,’ new and more effective ideas can come from synthesizing a variety of viewpoints. We believe a diverse membership can bring broader alliances, wider reach and a stronger arts community. The following is a list of things to think about when bringing a group together, to hear opinions and ideas other than one’s own. It is a beginning, a place from which to start. It requires commitment and belief that this is important. Play the long game. Try, learn and try again. Why is it important to hear a range of voices and views? It is easy to be pulled along with others’ ideas and feel validated when we think the same thing. Groupthink can lead to a loss of nuance within our thinking, lead us to potentially miss something altogether and can cement our biases even more strongly. Arts and culture have the potential to bring people together, offering spaces or experiences for people who think many different ways – let’s embody this ourselves. Being diverse and inclusive means many things – including different points of view. ‘Better,’ new and more effective ideas can come from synthesizing a variety of viewpoints and lead to innovation or improvement. Broader alliances and a wider reach will build a stronger arts community. How do we make a safe ‘space’ for many different people with different points of view to come together? Remove what defines power. Equalize people, give everyone voice, regardless of position. Create a shared concept of context, common ground and clear purpose – i.e. what brings everyone together. Imagine other points of view when setting up the space – what would be the experience for someone else, who may think and feel differently to you? Establish trust as the chair or leader. Collaborative leadership can also be helpful. Consider the overall feel of the environment – is it exposed, private, cosy, intimidating? Address this. Be clear – say it. This is a place for differing views and opinions to be shared and respected. How might we better hear dissenting voices? Enter a conversation or debate without presumption or assumption. Don’t be afraid of other points of view – it doesn’t have to change yours, but may help you see something else. Discussion does not have to be about changing minds – it can be about synthesis of information to strengthen, influence or inform ideas. Find common ground and grow from there. Work from a belief of positive intent and cooperation. View people as discussants, not adversaries. Focus on facts and substance, not ideology. Observe others and their views – don’t judge them, but approach with interest and curiosity to understand something new. Try not to say ‘but’ – let people finish. Establish common values and conversation guidelines: respect, attention, empathy, the need to step forwards and speak, the need to step back and listen. Listen to the logic of where someone’s thinking comes from – not only the beliefs themselves, but the context or story and how those beliefs have been reached. Remember perspective is how one sees the world – it is not right or wrong. Encourage constructive disagreement – disagreement with rigour and respect. Practice. Sit or talk with people you don’t know. Establish that every gathering is a new and fresh beginning. Don’t skip the learning phase – listen and learn, then deliberate and discuss. How can we bring in new voices? Target (not stereotype) others. Everyone likely knows 1 or 2 people who are missing from a situation, not represented or think differently – personally invite those people in. Be clear about what’s in it for them – why should they come? Play the long game – grow trust and hear their views. Develop relationships. Start to change the ‘complexion’ of a group and people will feel it might be for them. Use ‘open’ questions, requesting an answer that uses the individual’s own knowledge or feelings. 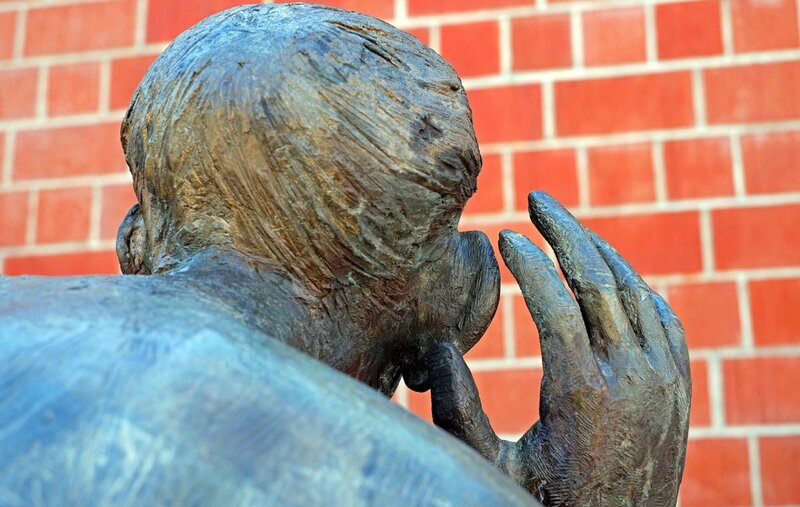 Allow other ideas to be focused upon – bother to hear, not just listen. Consider your ‘curation’ of any speakers – are you representing many different points of view from the front of the room? Keep things simple for attending, joining, becoming part of the group or movement.